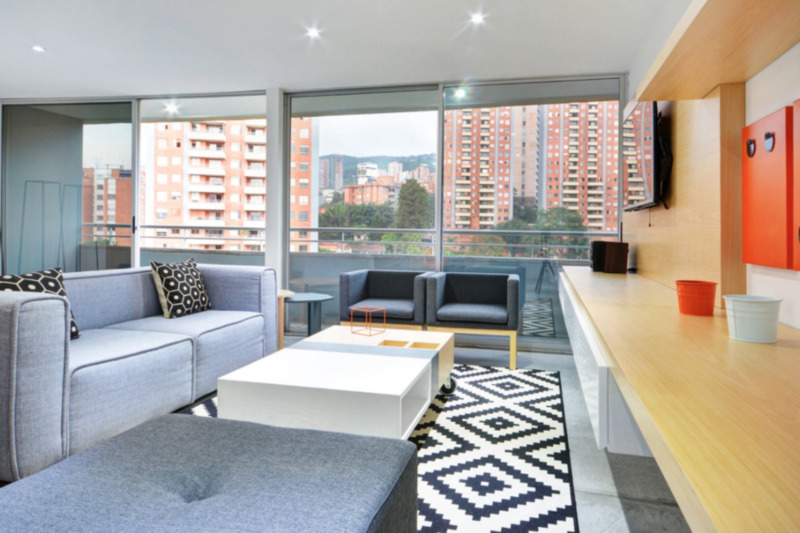 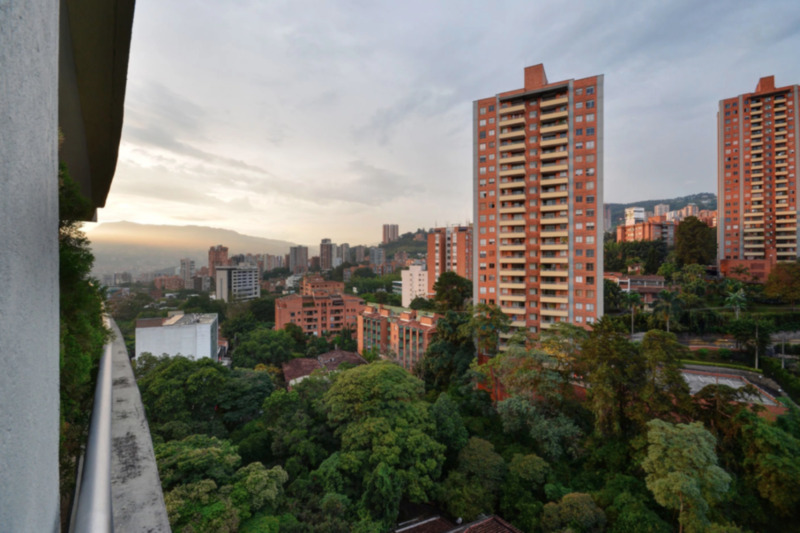 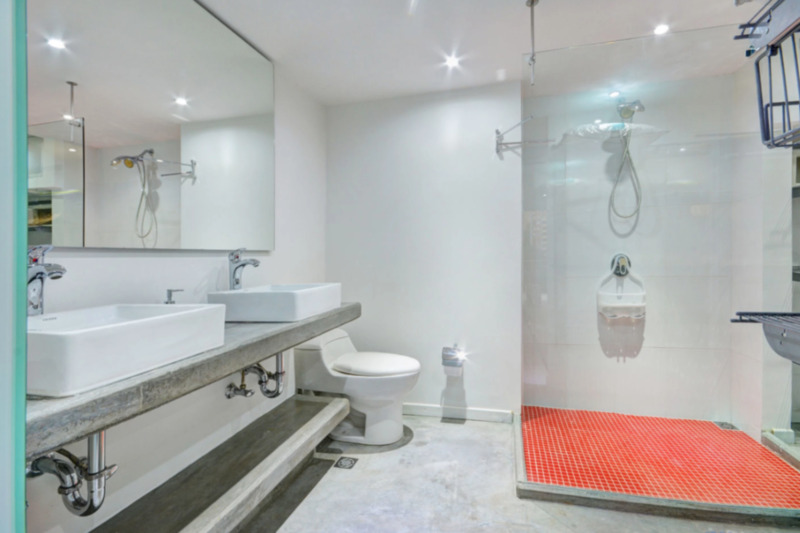 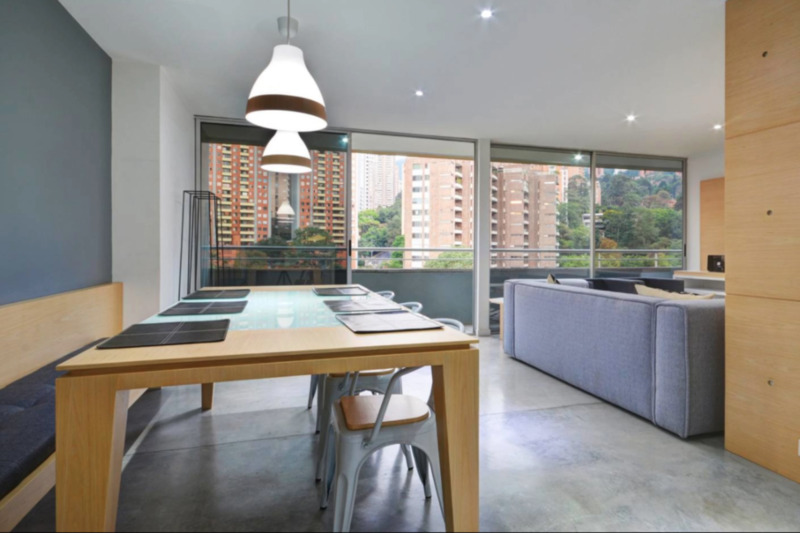 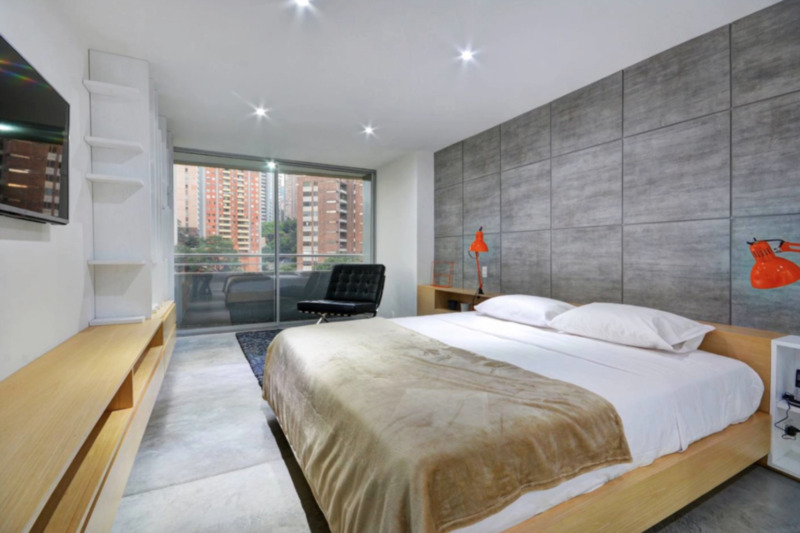 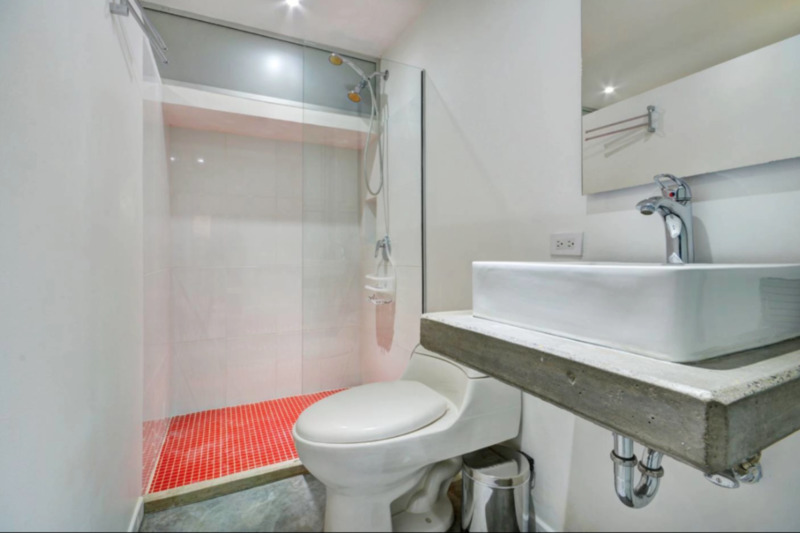 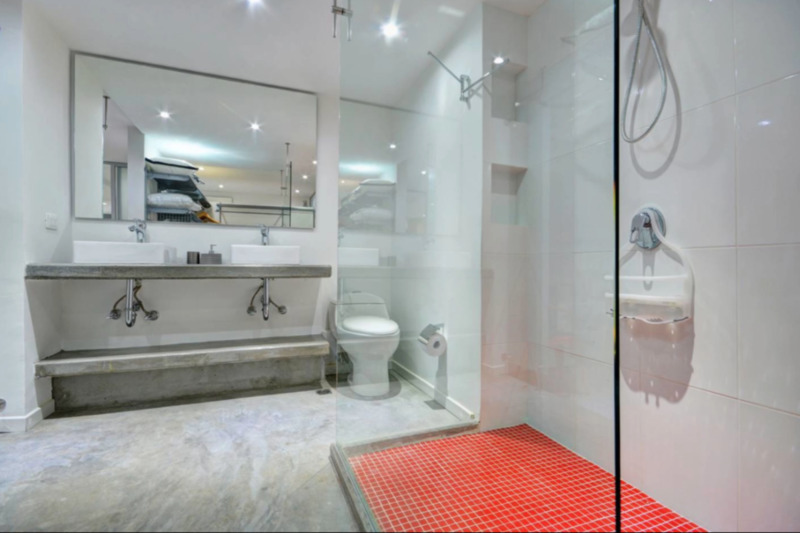 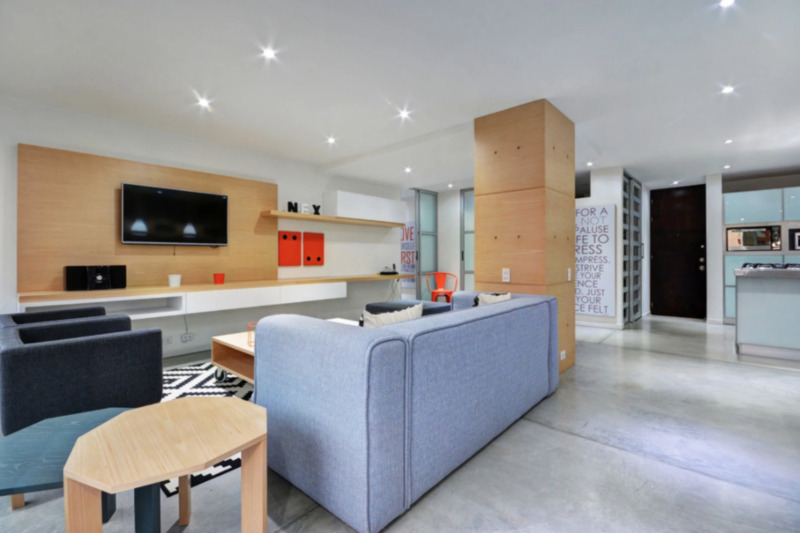 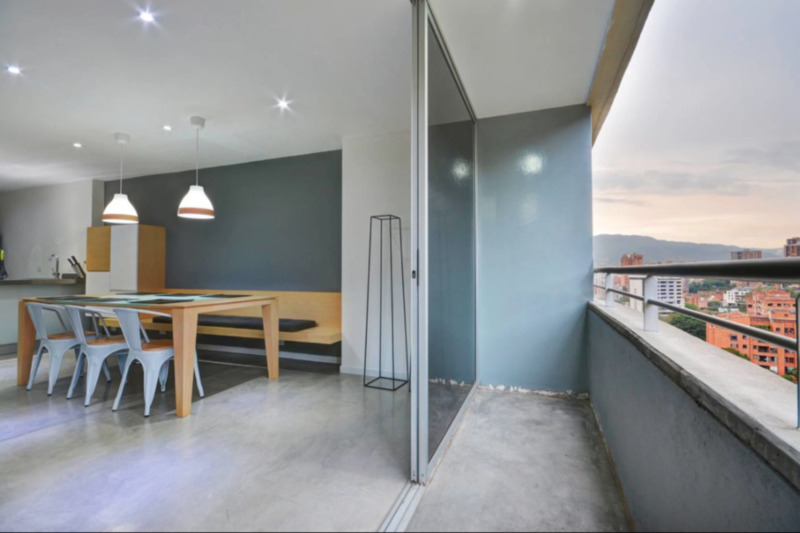 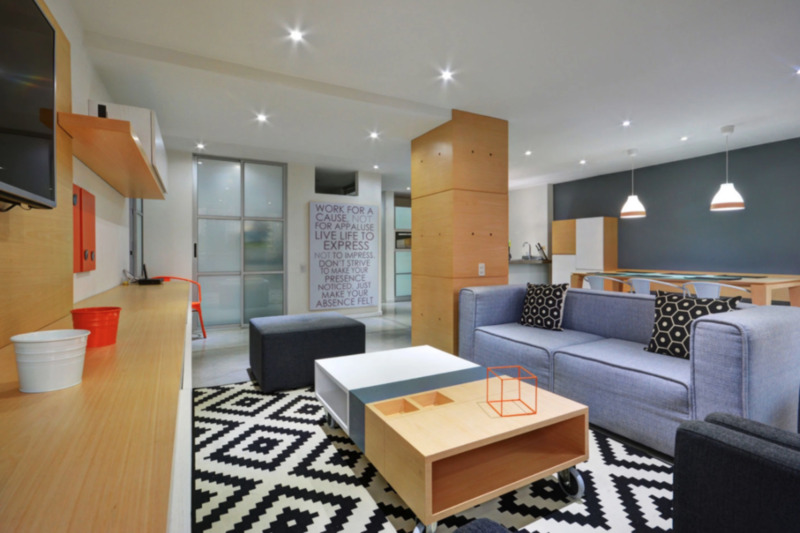 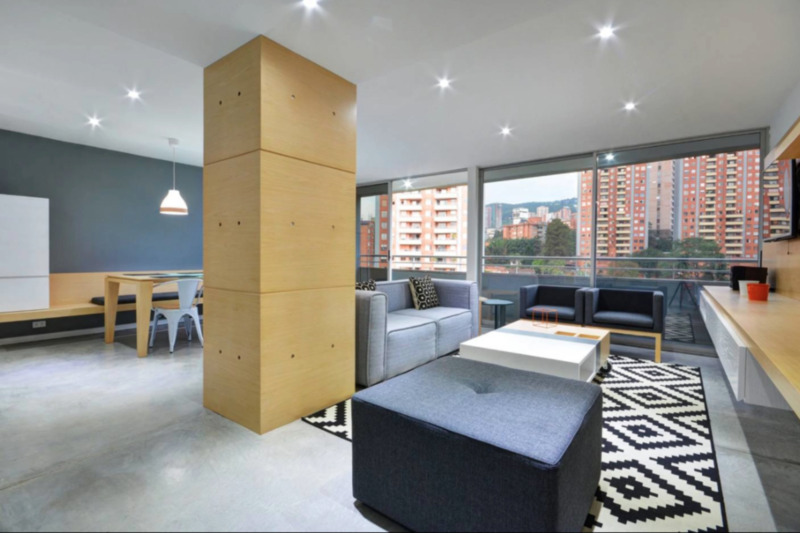 This modern studio apartment is a true Medellin gem, with touches of orange flare reflected throughout. 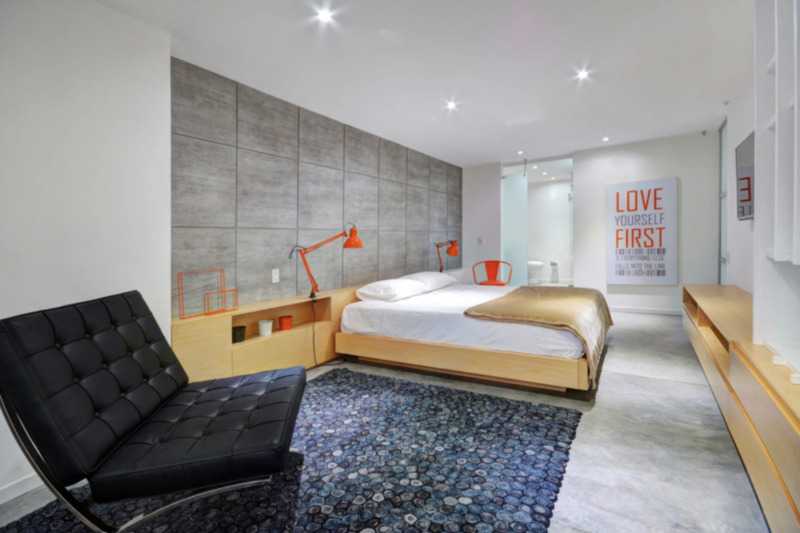 Rich, warm colors set against crisp white walls give the unit a great vibe, along with lovely views of the bustling Provenza neighborhood below. 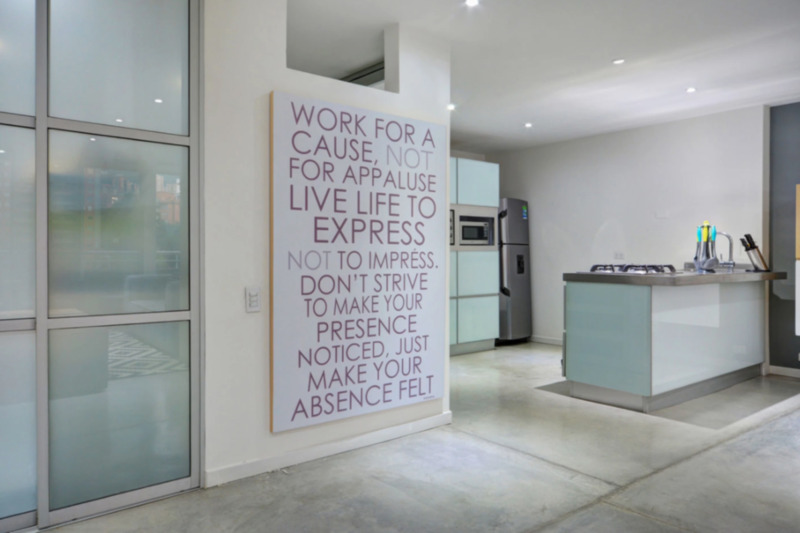 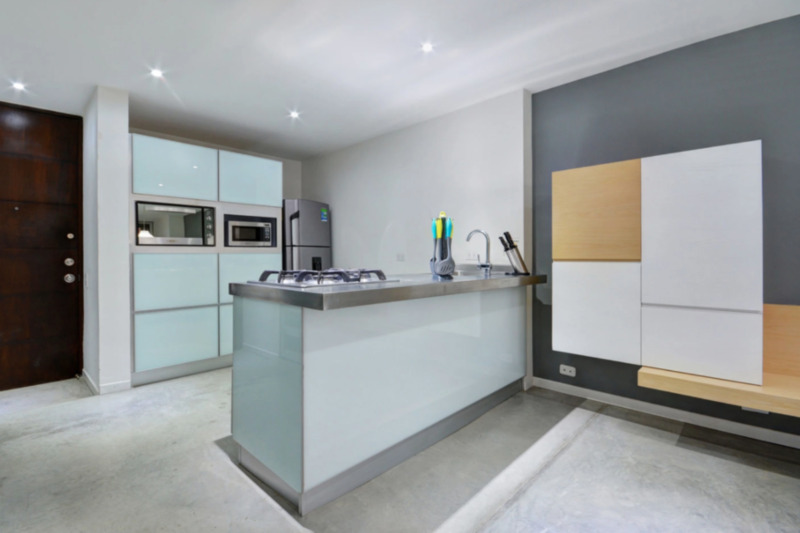 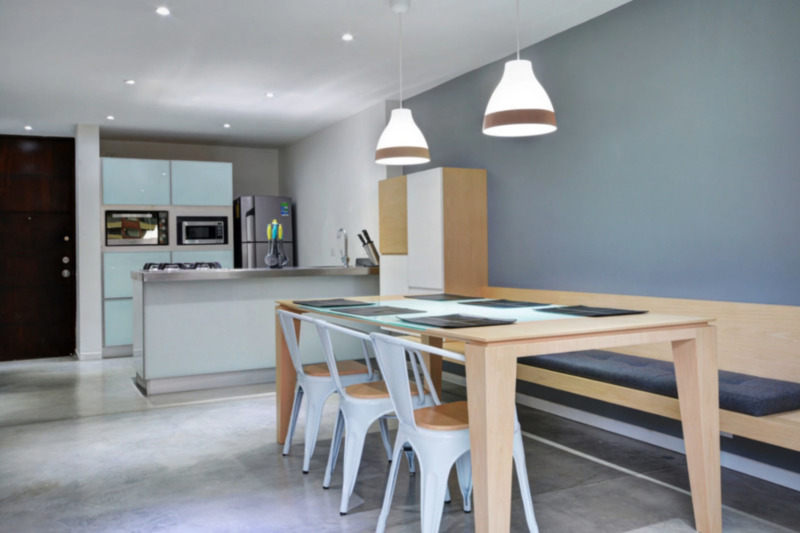 The kitchen is fully equipped and ready for whipping up quick meals or dining in; while the living room also provides a comfortable sofa for guests, plus a TV and stereo for entertaining friends and family. 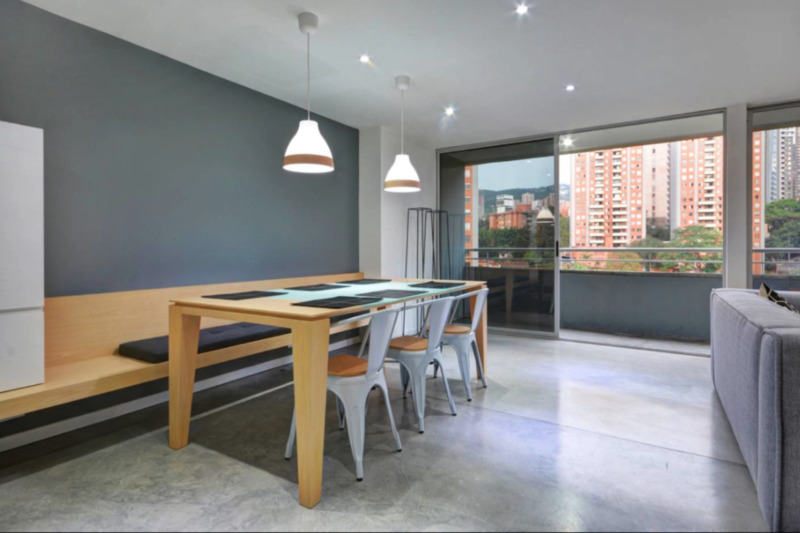 The dining room comfortably seats four people, offering a great space to share meals. 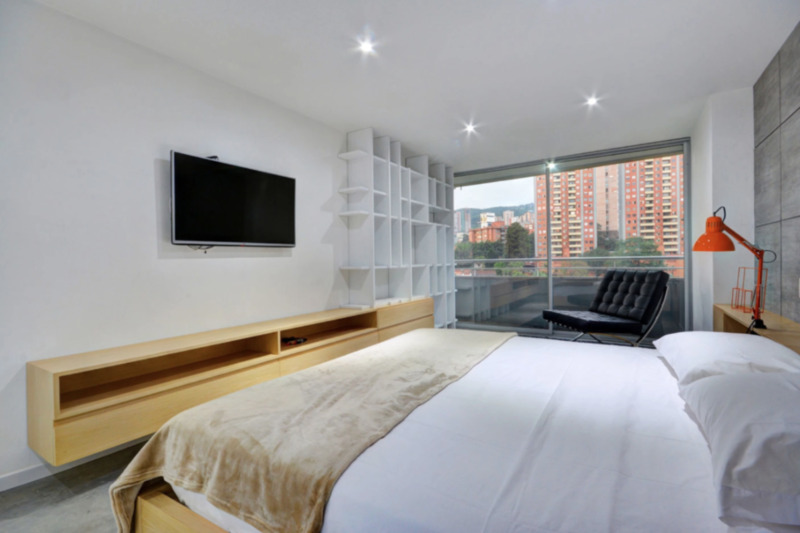 Adjacent to the living room sits the bedroom, which features a king-size bed, a flat TV and an ensuite bathroom.